Chocolate Heaven at the Royal Botanic Garden Sydney as 'Piccolo Me' Arrives! Garden visitors, you’re in for a (sweet) treat! Not only is a brand new Piccolo Me opening in the stunning and iconic Royal Botanic Garden, but they’re introducing their brand new menu item as well. Introducing: the Choco Mintolo! 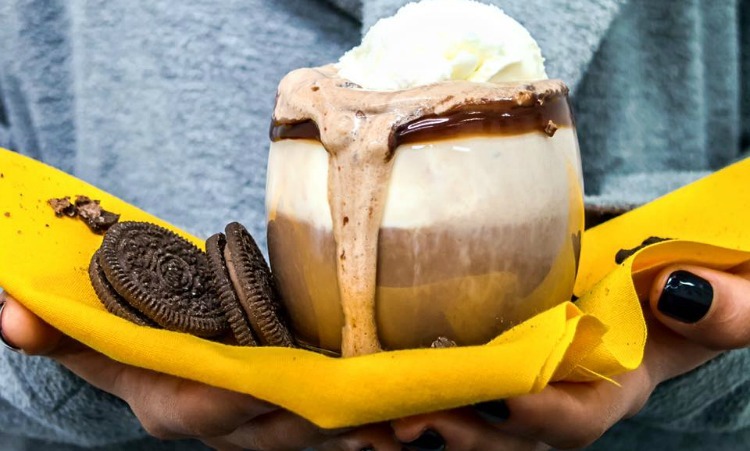 Piccolo Me has created the Choco Mintolo- a mint hot chocolate with a scoop of ice cream inside, topped with oreos and rich chocolate sauce. What could be better than an afternoon explore of the grounds, and one of these delicious babies? The perfect companion to this wintery weather. 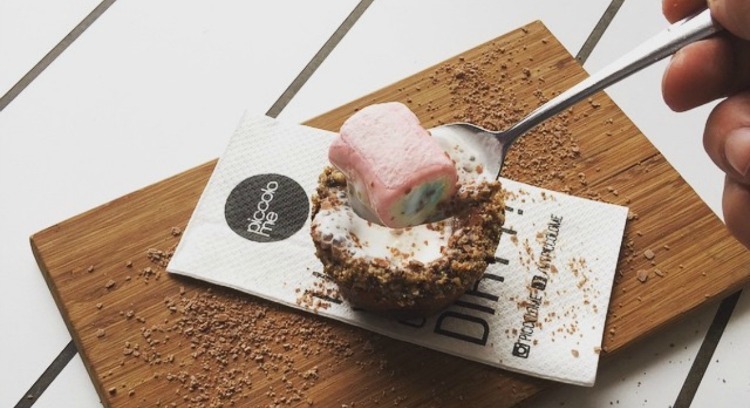 We thought after Giant Deep Fried Nutella Ice Cream Balls came on the Piccolo Me menu, it couldn’t get much better….but we were wrong. Other delicious and kid friendly gems to try include the gorgeous Babookie a secret menu item. This babycino is served in their iconic “Nutella Cups” and is often served with a Nutella Crotop a nutella filled croissant bite to mop up that creamy froth. Look for the giant yellow umbrellas (located at the Palace Gates off Macquarie Street) and join the boys at Piccolo Me during the gardens 200th anniversary year for a truly decadent and mouth watering experience. This is the 15th store they’ve opened, so be sure to check out what all the fuss is about!